Straightening teeth in your smile doesn't have to require the need for traditional bracket and wire metal braces. While many teenagers and adults instantly picture a mouth full of metal when it comes to improving a smile, it doesn't have to be that way thanks to Invisalign invisible braces. Worcester dentist, Dr. Levenson, can offer invisible braces for patients who want to transform their smile without traditional known orthodontia. 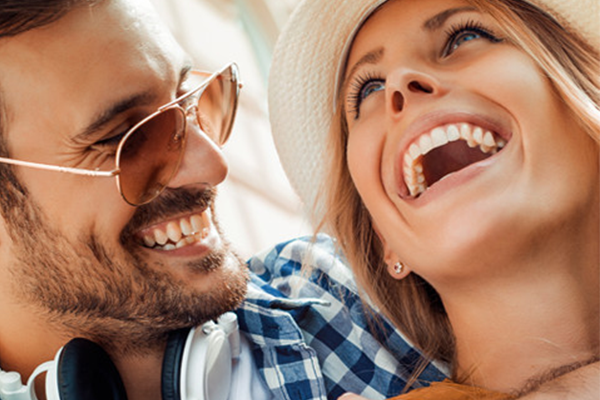 Invisalign invisible braces work a little differently than standard orthodontic treatment. At Levenson Smile, we offer Invisalign for patients who are concerned about the way they look during treatment. They may want to straighten their smile, but don't want to hide behind unsightly metal orthodontia. Invisalign works by using aligner trays instead. These aligner trays are made of medical grade plastic, and are strong and see-through. They are worn at all times in order to move teeth slowly into their proper places. Invisalign works by using these aligner trays to push teeth into locations that are more desirable. There is more than one aligner tray used. In fact, the trays are switched out every few weeks to a new one, in a succession that allows teeth to be moved without the use of brackets and wires. The aligner trays are made with digital impressions in order to be completely accurate and tight fitting to the patient's teeth to make the necessary improvements for a beautiful, more aligned smile. Invisalign requires strict compliance by the patient in order to achieve the best results. The only time the aligner trays should be removed is when a patient is caring for their teeth, drinking, or eating. Otherwise, the trays should be worn for the most effective treatment. Dr. Levenson will advise patients as to the instructions on using the Invisalign aligner trays to achieve the ultimate smile. Dr. Levenson of Levenson Smile wants you to have a smile that you can be proud of. By using Invisalign invisible braces, Worcester area patients can have the confidence that a beautiful smile can provide. Whether a patient is entering the teenage years or are full-grown adults looking to improve their smile, Levenson Smile can help. Starting the process of receiving Invisalign invisible braces is easy. Contact Dr. Levenson's dental practice today and schedule an initial consultation appointment. You will be able to discuss with Dr. Levenson the concerns about your smile and learn more about the Invisalign process.